When starting a new blog, trying to sift through the myriad of themes and plugins that are available can be overwhelming. Beginning bloggers should be free to focus on building valuable, unique content for their sites rather than worrying about the best plugins to install. We’ve gathered a list of 10 of the best WordPress plugins to make the job of starting a new blog that much easier. The All-in-one SEO pack plugin is at the top of the list. Search Engine Optimization (SEO) is how your page is going to get traffic and hits. By implementing SEO techniques, you are providing Google, Bing or Yahoo the tools they need to rank your site. This plugin gives each page and blog post on your site a unique title with related Meta tags. The settings are customizable and you can even insert your own Meta tags. Akismet is so important, it comes preloaded with every WordPress installation. It helps to filter out spam and keep your blog free of unrelated and annoying comments from spammers. Akismet also means that your readers won’t be required to verify that they are human before entering comments. The latest search engine algorithms make heavy use of a Sitemaps when cataloging a website’s content. Google XML Sitemaps will create a new sitemap automatically every time a new blog post or page is added. Once installed, you’ll never need to manually update your sitemap again. W3 Total Cache can actually improve the overall performance and usability of your site. By caching your pages and providing temporary files to visitors, it can drastically decrease page loading times by removing the need for repetitive back-end calls to the database. The WordPress Database Backups is a customizable plugin that can be used to manually backup your entire site, or it can automatically take a snapshot of your site on specified intervals. This will provide all website owners with peace of mind and remove the need for any kind of manual backup process. People accessing websites from mobile devices now represent the majority of web traffic. This is not a demographic that you want to alienate. The WP Touch plugin will optimize your site for mobile devices and let you know that mobile users will have the best experience possible when visiting your blog. Pages will load quickly and be formatted properly. It goes without saying that social media impacts web traffic. Recent changes in search algorithms also places greater emphasis on linking from and to social media sites. Providing these plugins allows visitors to easily share your blog posts on social networks. It’s a great way to build traffic and increase visitors. This easy to install plugin provides commenters with a simple checkbox option to receive email alerts whenever someone responds or comments on the same post. This is a great way to build a lot of discourse around your blog post and search engines will reward the activity by increasing your ranking. One of the best ways to capture traffic to your blog posts is to organically build linking from other sites. The WordPress Related Posts plugin will provide a selection of related posts for each blog post on your site. Readers looking to get more information on a particular topic can easily click on a related blog post on another site. Similarly, you could be getting traffic back to your blog from related sites that utilize the same plugin. If you plan on updating the appearance of your blog to keep it looking and feeling fresh, then you’ll want to install this plugin. It will allow you to make theme changes while visitors are still directed to the old site. 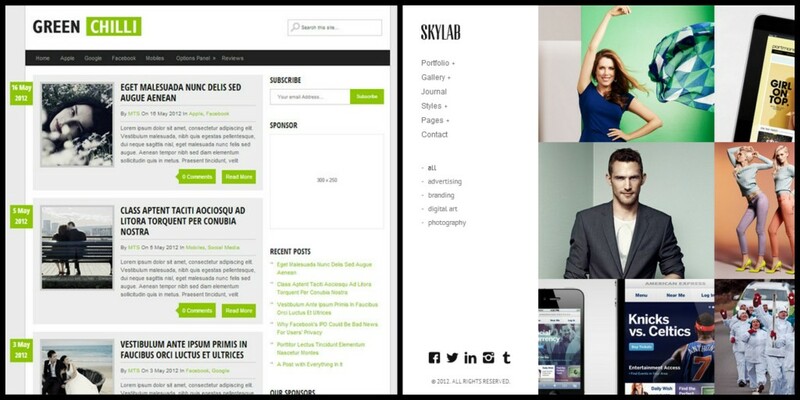 You can even edit and preview your themes without impacting visitors. By starting with these WordPress plugins beginning bloggers, or even existing site owners, will be assured that they are providing visitors with a great viewing experience and an easy to use commenting system, while ensuring that their blog is optimized for SEO. Blogging is one of the most popular forms of self-employment to sweep across the world. Of course, with the increase of bloggers comes the influx of blogging websites. Needless to say, the difficulty for many bloggers today is selecting a blogging site that fits their needs. Quite a few find a home on Blogger, perhaps just as many turning to WordPress. Without a doubt, each has their advantages and disadvantages, but which blogging site is right for you? Blogger, owned by Google, holds the prestige of being one of the oldest publishing tools. Like others, this blogging site has a number of features, but one of the greatest benefits is Blogger is free. This makes Blogger the perfect place for anyone who is testing the waters or is strapped for cash. No need for a domain name or hosting. Provides wide selection of templates. Google servers ensure little to no downtime. Easy-to-use format perfect for beginners. Few plugins available to improve site functionality. Google can use and distribute content. Google will remove blogs for infractions. WordPress, released in 2003, is more of an Open Source Content Management System than a publishing tool. What is most noteworthy about this site is users can choose between WordPress.com, free membership, and WordPress.org, paid subscription. However, as WordPress.com is Blogger’s equivalent, we will primarily look at this version. In that sense, WordPress.com is just as welcoming to people just starting out and those unsure of blogging. Wide range of plugins available. Free support through support forum. WordPress.org offers the same features as WordPress.com and far more. Revenue strategies allowed elsewhere not permitted. Limits on traffic and branding require successful businesses upgrade or move. has its pros and cons, both serving their intended purpose. However, in the end, you must decide for yourself whether Blogger or WordPress is right for you. The number people using mobile devices to browse the web has gone up significantly in the past few years. A recent report by Forbes found that over half of all adults in the U.S. use smart phones. A significant percentage of them also use tablets or ereaders. As a blogger, you probably have a decent number of your online traffic coming in from some sort of mobile device. Because of this, it’s important to make sure your blog is mobile friendly. What Happens If My Blog Isn’t Mobile-Friendly? Do you remember the last time you looked at a website from your smart phone that wasn’t mobile-friendly? Websites that do not adapt to the new trend of mobile Internet surfing are much harder to read. You have to scroll a lot, or zoom in and out; pictures and videos can be difficult to view; and loading times take longer on a website that was not made to view from a mobile device. As a reader, you have to have a lot of patience to put up with that. Most likely, you left the website pretty quickly. If your blog isn’t mobile-friendly, you’re losing a lot of good traffic. How Do I Make My Blog Mobile-Friendly? There are actually a few options for making your blog mobile-friendly. Some of them will depend on the blogging platform you use; others will depend on your budget. Create a separate version of your website specifically for mobile devices. When someone visits your site from their smart phone, ereader, or tablet, they are automatically directed to the mobile version of your blog. It’s relatively easy and inexpensive. However, it’s also not a great option for a few reasons. When you upload new content or publish new posts, you have to do it for both types of websites. This is obviously more labor-intensive and time consuming. This website also won’t work for tablets – just smart phones. If your readers attempt to share your URL with their friends, desktop users will click through the link to the mobile website. Load time could be affected. And lastly, there can also be some significant issues with your SEO if you don’t follow Google’s rules for such instances. Build a website that has a responsive design. “Responsive design” means that the website is built using percentages instead of exact measurements. Choosing this method allows your blog to adapt to whatever device your viewers choose. This option is a favorite of Google’s and eliminates many of the problems of a separate website: you only need to publish content once and loading times also adapt to the device being used. However, the downside is that this type of website is more expensive to create initially. Depending on how old your website is, it might be impossible to convert it to a responsive design. Choose a blog theme that is mobile-friendly. Many WordPress themes now come with a mobile-friendly feature. They will automatically adapt to any mobile device. However, even the ones that don’t have that feature are still easier to view on a mobile device than a static website. Anyone who accesses a WordPress blog will see a mobile-friendly site, though it might not look the same as your desktop blog. That’s because your specific theme will not translate over; instead, WordPress has another theme that automatically applies. Blogger also has templates that are mobile-friendly. Using a theme that is mobile-friendly is easy to do, and you can do it without calling in for backup. It’s also inexpensive. The one downside is that you might have to change the entire look of your blog, or your mobile site will not look exactly like your blog. Look into individual themes and templates to find out more. Install a mobile-friendly plugin. One of the greatest parts about WordPress blogs is all the many plugins that are available. Fortunately, there are plugins that create a website accessible by mobile devices. The plugin also gives you the option of themes that are mobile-friendly. This is a great option for those who have had their WordPress blog for a long time. You don’t have to change your theme or your blog’s appearance, but you can still create a mobile-friendly blog. Adapt specific elements in your blog. If you want to keep your blog the same, there are a few individual parts you can change to still make it mobile-friendly. Try using smaller images that are easier to see from a smart phone without pinching the screen to zoom out. Smaller graphics also help cut down on loading time. Make your buttons larger so that they are easier for fingers on touch screens to press. I’ve made my blog mobile-friendly. Now what? Sit back and check out your analytics. Most likely, you had plenty of traffic coming in from mobile sources before you made changes to your blog. Compare how your visitor behavior changes after your adaptions. Is your bounce rate lowering? Are you gaining more mobile traffic? You may not see any major changes at first, but your readers are thanking you for making your blog easier for them to read. What changes have you made to your blog to make it more mobile-friendly? Rogowsky, Mark. “More Than Half Of Us Have Smartphones, Giving Apple And Google Much To Smile About.” http://www.forbes.com/sites/markrogowsky/2013/06/06/more-than-half-of-us-have-smartphones-giving-apple-and-google-much-to-smile-about/. (5 Nov. 2013). Brenner, Joanna. “Pew Internet: Mobile.” http://pewinternet.org/Commentary/2012/February/Pew-Internet-Mobile.aspx. (5 Nov. 2013). Clearly, Ian. “How to Make Your Blog Mobile-Friendly.” http://www.socialmediaexaminer.com/how-to-make-your-blog-mobile-friendly/. (9 Dec. 2013). Olson, Derek. “CHOOSING BETWEEN RESPONSIVE WEB DESIGN AND A SEPARATE MOBILE SITE TO IMPROVE MOBILE VISITORS’ EXPERIENCE.” http://www.foraker.com/choosing-between-responsive-web-design-and-a-separate-mobile-site-to-improve-mobile-visitors%E2%80%99-experience/. (9 Dec. 2013). “Themes >> Mobile Themes.” http://en.support.wordpress.com/themes/mobile-themes/. (10 Dec. 2013). Chan, Louisa. “How To Make A Mobile Friendly Blogspot Blog Site II.”http://www.louisachan.com/how-to-make-a-mobile-friendly-blogspot-blog-site-ii/. (10 Dec. 2013). Sharkov, Daniel. “3 Simple Ways to Make Your Blog Mobile Friendly and Improve User Experience.” http://www.reviewzntips.com/mobile-friendly-blog/. (10 Dec. 2013). One of the biggest benefits of using WordPress as your CMS is the plethora of plugins available to optimize your blogging experience. Plugins can help add cool new features to your blog, simplify SEO, and make blogging easier for you. Unfortunately, the large amount of plugins available also means that many of them will turn out to be duds. Plugins work kind of like smart phone apps in the Apple Store or Google Play – anyone can create one. Many experienced bloggers have written their own reviews of their favorite plugins to help guide you, but you can also use the rating system attached to each plugin. Google XML Sitemaps – Having this plugin will better help search engines such as Google, Bing, Yahoo, and Ask.com index your blog. WordPress SEO by Yoast – This plugin is a freemium that helps you with the technical side of SEO, such as Meta content, XML sitemaps, page analysis, RSS optimization, and more. It also includes some social media functionality. This plugin has an incredibly high score among WordPress users: rated 4.7 out of 5 stars. 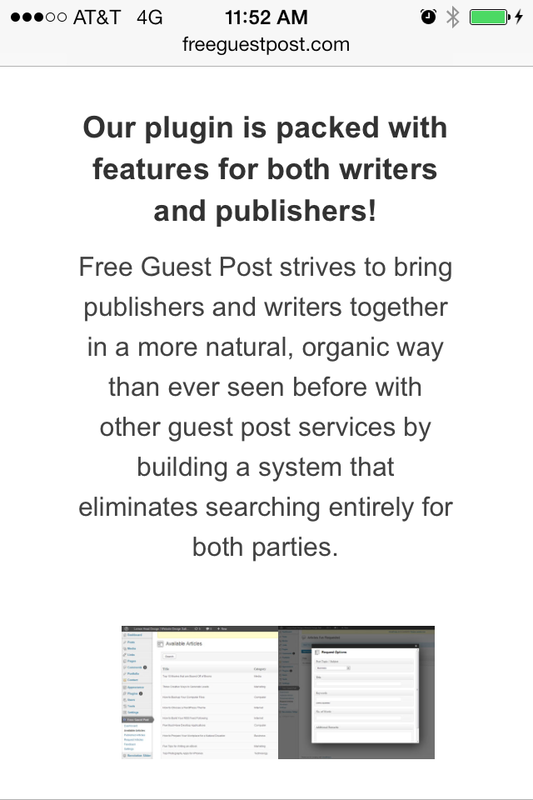 Free Guest Post – The Free Guest Post plugin accompanies the related website that connects writers and publishers for guest posting opportunities. Normally, finding a guest posting tradeoff can be very difficult and time-consuming. This plugin eliminates all of the usual stress involved in this process, as well as some of the Google penalties. Quick Page/Post Redirect Plugin – If you’ve deleted a page or post without creating a redirect for it, Google will find these broken links and punish your page for them. This plugin helps you easily find and redirect those URLs, steering you clear of Google’s SEO penalties. All In One SEO Pack – The All In One Pack is similar to SEO by Yoast, but better for beginners and ecommerce WordPress sites. It automatically generates Meta data, titles, and keywords for you, but also has the option for you to fill them in manually. Automatic SEO Links – This plugin makes it so you no longer have to manually insert links. All you have to do is select a word and a URL. SEO Rank Reporter – Every three days, this plugin will track your Google rankings and report the information back to you. NoFollow Links – Not every one of your links should be followed by Google’s spiders. This plugin adds the “nofollow” to the rel attribute of your link. Broken Link Checker – This plugin is similar to the Quick Page/Post Redirect Plugin, except it focuses more on finding the broken links. It also has the option of preventing search engines from following a broken link, keeping you safe from Google penalties. Google Plus Authorship – Using Google+ Authorship connects your Google+ account to your blog posts, giving you credit as the author. When your blog post shows up in a Google search result, your picture and author profile will show up alongside it, making it more appealing and earning more clicks. Google also favors those with an authorship account, which will only improve your SEO. What are some of your favorite WordPress plugins? We’d love to hear! End your blog post with a question. Questions show the reader that you are interested in their thoughts, rather than just a one-sided conversation. Respond to the comments you receive. Even just a quick “thanks for stopping by!” shows commenters that you value their contributions. Use a contest to motivate readers to comment. The comment can be the participant’s entry into the contest. Ask readers to share a picture in the comments of something that relates to your post. If you’re talking about organization, ask them what their desk looks like and request proof! Make commenting as easy as possible. This might mean that you have to endure a certain amount of spam, but that’s better than losing potential commenters partway through the process. Write about a controversial topic. Take a stand. Use a plugin or widget that allows readers to “upvote” or “like” other comments. This will motivate readers to read through many comments to see who they agree or disagree with, which may further inspire them to comment themselves. Try not to delete comments, even if they are negative. You can delete spam and inappropriate material, but if someone doesn’t like what you have to say, let them express that. This will show other commenters that you are willing to listen – and it may inspire commenters who side with you to comment in opposition to the negative comment. Be positive in your own comments, even to the negative ones. You need to put on your most diplomatic hat. For positive comments, make the commenter feel good with praise or admiration of their thoughts. Comment on other blogs. This will gain you easy exposure, and the blog you comment on may return the favor. When you are writing your blog post, remember your audience. Write to them. If your audience feels like you are talking to them, they will be more likely to respond. Use the WordPress plugin “CommentLuv.” When readers comment on your blog, their latest blog post title will automatically show up with their remarks. That kind of free, easy publicity is hard for your audience to pass up. Create a poll that readers can vote on. Use insightful comments as a jumping off point for another blog post. Readers might have useful questions that you can answer, or new observations to flesh out your previous thoughts. Weed out spam. Seeing spam on someone’s blog post is like seeing garbage – people stay away from it. So while you should make commenting as easy as possible, you should also use an approval system, widget, or plugin so that you can moderate comments. If you moderate comments, just be sure to approve the good ones as quickly as possible. Open up other methods of communication. It’s easier to comment on social media or send a quick email, but having other lines of communication available eventually paves the way for readers to comment on the actual blog post. Allow users to comment anonymously. Create a comment policy and allow readers to access it easily. Comment policies can include what type of language is allowed, how commenters should interact with other readers, whether or not a backlink is allowed, etc. Then stick a link to that policy right next to where readers can submit comments. Install a plugin or widget that gives commenters the option of subscribing to the comments. This feature will notify readers if any other comments are made so that they can return to add more to the conversation. Publish a post from a guest. The other writer will publicize the blog post in different places than you usually do, inviting new traffic to your website. Create a numbered list post and ask readers to add to it. This is an especially compelling tactic if you leave your list incomplete. Have an approachable persona. Readers resent someone who acts like a know-it-all. A good way to accomplish this is to write about shortcomings or mistakes as well as successes and expertise. Invite readers to share their stories and experiences. If you’re sharing a bad travelling story, ask your readers to comment with one of their own. Ask visitors to subscribe to your blog. You can do this with an RSS feed or email newsletter(though email newsletters generally inspire more engagement). Consistent reminders of new posts will entice readers to visit more, leading to a higher probability of them commenting. Poh, Michael. “7 Splendid Techniques To Encourage Comments On Your Blog.”http://www.hongkiat.com/blog/encourage-blog-comments-tips/. (8 April 2014). Hines, Krisiy. 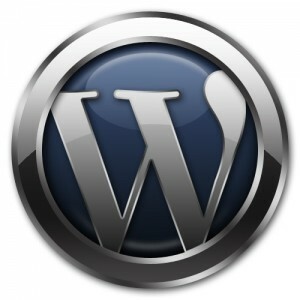 “5 Essential WordPress Plugins For Comments.”http://www.hongkiat.com/blog/essential-wordpress-comments-plugins/. (8 April 2014). “How to Encourage Comments on Your Blog.” http://www.theblogmaven.com/how-to-encourage-more-comments-on-your-blog/. (8 April 2014). Reiter, Grechen. “5 Ways to Get More Comments on Your Blog.” http://heartifb.com/2013/05/03/5-ways-to-get-more-comments-on-your-blog/. (8 April 2014). Kingston, Charlene. “7 Tips to Increase Your Blog Comments.”http://www.socialmediaexaminer.com/7-tips-to-increase-your-blog-comments/. (8 April 2014). Urban, Diana. “9 Ways to Encourage People to Comment on your Blog.” http://blog.hubspot.com/blog/tabid/6307/bid/8906/9-Ways-to-Encourage-People-to-Comment-on-your-Blog.aspx. (8 April 2014). If you’re like the majority of website owners, your greatest hang-ups emerge when it’s time to make any type of update to your site. A section of content on your home page becomes outdated, and suddenly you find yourself at the mercy of your web designer or developer for something as simple as changing a few dates in some text, or swapping out a photo for another. Learn HTML, FTP, and any number of other complicated protocols. You’ve entered your line of work for a specific reason: it’s what you wanted to do! Putting up a website is a necessary evil in achieving your actual dream. You don’t have the time or interest in becoming a web designer just so you can do business online. Hire someone who has gone to school for this stuff. Pay the big bucks for quality! It’s all too tempting to be lured into a contract with a web design/development company who promises you the world for just a few hundred dollars, but the fact is when it comes to web design, you will get what you pay for. A high functioning and performing website will cost you upwards of $1000. Switch to a dynamic, user-friendly platform. The learning curve is minimal. The platform is free. Making website updates becomes a matter of a few clicks. WordPress is a free content management system that is used worldwide by millions of site owners (it supports more than 60 million websites! ), more than any other CMS or similar product. Why are people making the switch to WordPress from their static HTML sites? Easy peasy updates! WordPress isn’t just for bloggers. It allows you to make updates to content on your standard website pages as well. It’s an uncomplicated way to keep your site info updated and ready for consumption by all your potential customers. Increased flexibility! With access to hundreds of free and paid plugins and themes, you can customize the look and functionality of your site with ridiculous ease. Better SEO functions. As opposed to other CMSs, WordPress is predesigned to help you with your search engine optimization strategy. It’s already well positioned to draw in Google traffic. Easy one-to-one conversions. If you have an existing static site that you need switched over the WordPress, it’s only a matter of a few days and a couple hundred dollars to do it. Often this is a one-to-one conversion, where the WordPress version copies the original in look and functionality as closely as possible. Ease of programming. If you are making a fresh site from scratch, hiring a designer who is familiar with WordPress will be simple and (depending on the scope of your site) cost-effective, because of WordPress’s popularity. Awesome integration abilities! WordPress isn’t just the most popular choice for millions of website owners; it’s the number one option for third party software as well, such as email clients that have special features that integrate with WordPress. Affordability! Your expenses with WordPress are optional. Depending on the themes and plugins you choose, you’ll only be paying for hosting services and domain registration. Support and resources. There are countless resources out there that offer WordPress support and help, including tutorials and forums, whenever the need arises. It has an excellent community that proves to be an invaluable asset as a WordPress site owner. You are utterly and completely happy with your website’s look, functionality, and the ease with which you can make even the simplest of updates. Oh yeah? Lucky you! If that’s the case, I wouldn’t recommend switching to WordPress. However, if you’re only kidding yourself, maybe now’s the time to admit it and jump on board. What’s your biggest pet peeve about your site? When you have a website or blog that represents your brand and business, optimizing it for SEO, also known as search engine optimization is highly recommended to find success online. Search engine optimization helps to improve your website’s overall visibility within search engines such as Yahoo!, Bing and even Google to increase the number of visitors and page views your sit receives on a regular basis. Optimizing your blog for SEO purposes allows you to appear more professional while expanding your current viewing audience and potential followers or customers. Launching a blog may seem overwhelming, especially when you are not familiar with programming or even coding in basic HTML and CSS. Using a free CMS (content management system) such as WordPress, Joomla or even Drupal is a way for you to create a professional website that can easily be optimized for SEO purposes. Systems such as WordPress are ideal for both individual bloggers as well as those who are looking to launch a website to represent a corporate business or entity. 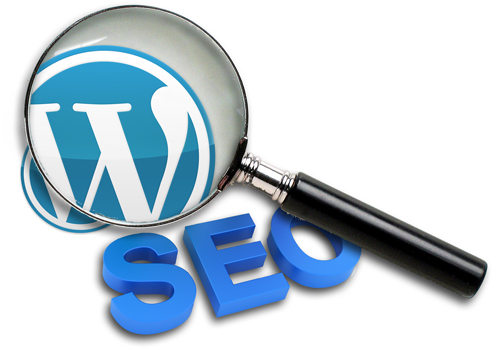 WordPress is highly-developed to incorporate SEO already, allowing you to launch any type of blog that can rise in the search engine rankings much quicker than a hand-coded website. Conducting market research to find the most important and trending keywords in your industry is highly recommended before you begin to format your blog, add new posts or edit any titles and meta tags you choose to include. Understanding the most popular keywords in your niche and industry will help you with the format of your blog and the type of content you produce to attract a specific market of potential virtual followers and online consumers. Using sub-headings and bold headlines when you publish content including relevant keywords and phrases for your industry will help search engines to discover your website while adding your pages into the search engines themselves automatically. The more relevant your content is to the entire purpose of your website and its name, the easier it will become for others to locate your site when searching for the information you have published and posted. When you are attempting to optimize your blog for SEO purposes, avoid using the same keywords repeatedly within the content you publish. Adding keywords too frequently within a post can ultimately lead to getting “blacklisted”, or removed entirely from well-known search engines, ridding all potential traffic that could have been generated from the search engines’ results. Be sure to add keywords into your articles sparingly and only when they fit. It is also important to properly title your blog along with each piece of content you plan to publish online. Adding in meta descriptions, tags and titles can be done within the header file of your blog to ensure that your website is properly named and can be searched for using keywords you deem the most fitting. Implementing tags, keywords and titles can be done within minutes and will change how search engines pick up on your site. So you have a stellar idea for a website, your domain name is secured and all that’s left for you to do is to find the perfect WordPress theme. Just being “pretty” isn’t going to cut it. There are thousands of themes to sift through, so you’ll need to know the right features to look for to drive traffic and grow your audience. If you’re hosting your own website, you won’t be able to choose from the premium themes WordPress has to offer. Other business owners and bloggers have spent thousands on paying a designer to build them a custom site, but there is a different route. You have the opportunity to find a theme with a unique design that will set your website apart from the competition – without breaking the bank. You don’t have to settle for a theme that isn’t perfect. In this post, we’ll show you how to choose a theme that’s budget-friendly and right for your audience. 1. Does this theme relate to my business or industry? Not all themes were created equally, so it’s important to understand what type of theme matches your industry before sorting through results. Take the two themes below for example. Though they both are visually appealing, the theme on the right focuses more on graphics rather than text, so it would be a much better fit for a photographer. You can save yourself a lot of time by searching for themes created for designated industries. For instance, let’s say you just started an online store. ThemeForest has more than 350 WordPress themes designed specifically for eCommerce sites. With these results, you’ll have an easier time finding themes with design features and page elements that suit your needs. 2. Is the design simple, responsive, and user-friendly? Google’s recent algorithm change, also known as “Mobilegeddon”, caused a responsive web design revolution. Google’s mobile search now favors sites that adapt to smaller screens, so websites with responsive themes will display higher on search results. 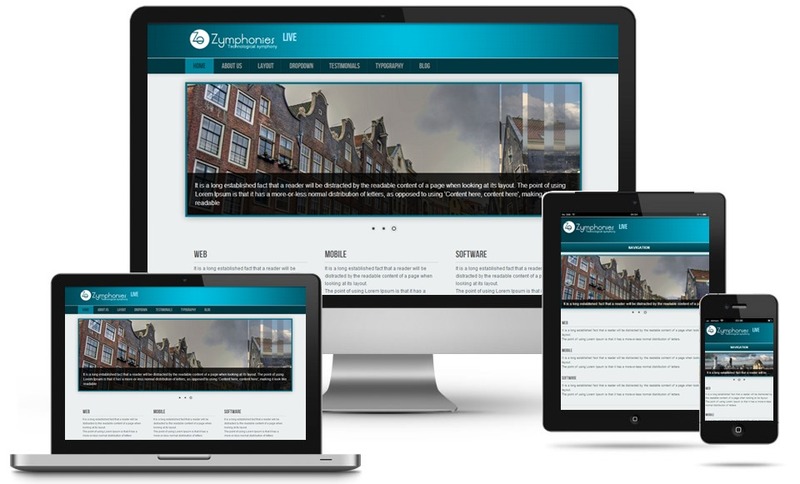 Businesses and blog owners are still scrambling to piece together their old websites into a mobile-friendly version, so it’s worth your while to invest in a responsive theme now. 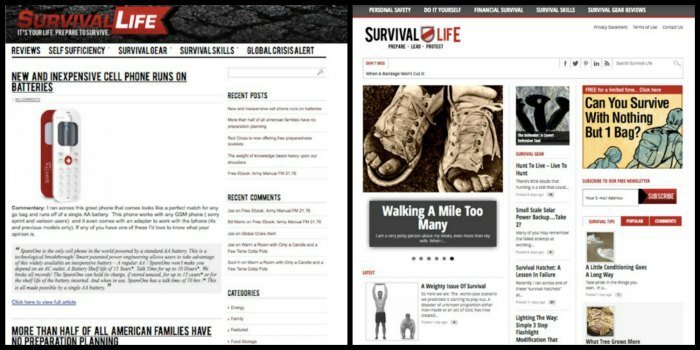 This website’s blog started making millions after they redesigned their template (along with a few other major changes) and surprisingly, the complex theme on the right was much more successful in driving traffic. Even though the minimalistic theme on the left looks cleaner and easier to read, visitors spent more time on the redesigned page and social media engagement increased as well. When it comes to the design of your template, don’t rule out the more complex themes. If you’re still not sure whether you need a simple or complex theme, consider buying from ElegantThemes. ElegantThemes lets you choose from their entire list of themes for less than $100 per year, so you can change your design as much as you want to find one that works for you. 3. Is this theme worth the cost? Free themes may be appealing at first, but unless you’re a blogger who does not rely on traffic, there are many disadvantages. Free themes found from Google searches often contain malicious code and “spammy” links that will prevent visitors from finding your site. They are also rarely updated, making it difficult to avoid bugs and keep up with evolving search engine algorithms. Premium WordPress themes are also more affordable than having a designer build a custom theme for your website. Custom blog designs can cost upwards of $1,000, while paid WordPress theme prices range from $30 – $100. They also offer plugins and features that you won’t find on free themes, with quality coding that won’t disrupt the performance of your website. Searching for WordPress themes on Google yields hundreds of results, so it’s understandable if you are unsure of where to buy from. SmallBizTrends has this great list of websites that offer WordPress themes, sorted by the level of experience you’ll need to use them. Just make sure to read the reviews of the themes before you buy them – you can learn a lot more about the theme’s usability by reading other users’ experiences. Which website do you use the most to find themes? Let us know in the comment section and thanks for reading! Create a Free WordPress-Hosted Site or Host Your Own Website? Each has its own advantage, so it’s important to understand the differences between the two to choose the best option for your site. You won’t want to miss out on the great features and customization that self-hosting has to offer, but you also don’t want to pay for more than what you need! In this article, we’ll go through the pros and cons to free WordPress-hosted sites and compare them to self-hosting. Skip right through the headaches and use this information to help you determine the next course of action for your site. The clear answer here is that if you’re not a beginning blogger and want more freedom with your site, self-hosting is the way to go. There are thousands of hosting companies to choose from, so don’t feel limited in your options.Choose a hosting provider that offers services that suit your needs and has a good online reputation. NetHosting is a great choice for those with WordPress sites that want to get started with an affordable shared hosting plan. Unlike other hosting companies, you’re guaranteed 100% uptime and your price won’t increase when it’s time to renew. NetHosting is popular among WordPress users because setup only takes about 10 minutes if you have a preexisting site. Creating a new WordPress site with NetHosting is as easy as a single mouse click, no technical degree required. Although free WordPress hosting is great for beginners, choosing a reliable hosting provider and switching to a self-hosted site can have numerous benefits. We hope this article helps you determine whether free hosting or self-hosting is the right option for you. Let us know what you think in the comments below, and thanks for reading!